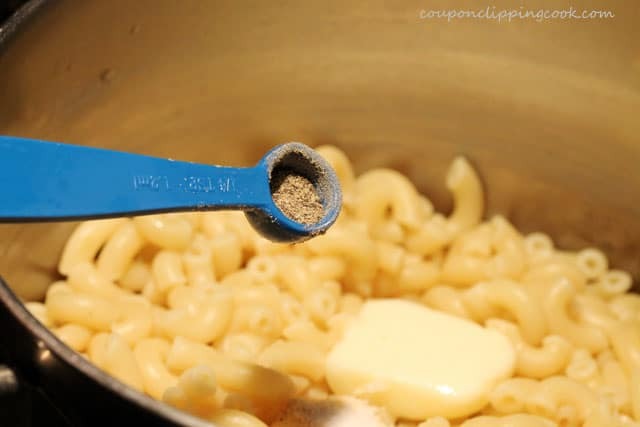 A delicious addition to a meal. 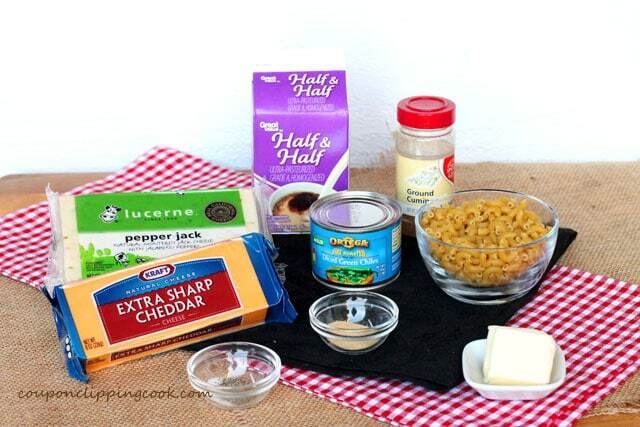 This creamy macaroni and cheese made with two types of cheese is quick and easy to make, with no fuss added. 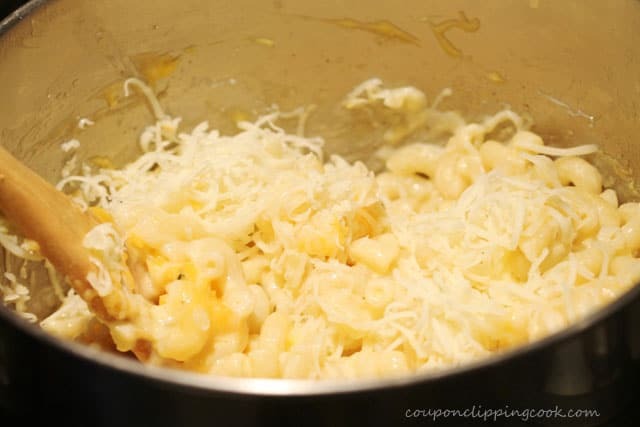 It’s made in a pan on the stove top rather than baked in the oven which reminds me of the boxed mac n cheese that I made all the time when I was in college. I can even remember buying extra back then when it was on sale. 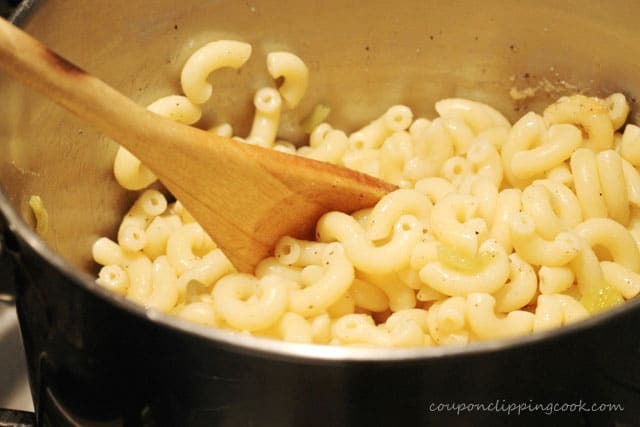 I liked to mix things in the mac n cheese like hamburger or veggies. Not a very elegant looking dish but it was so good at the time. 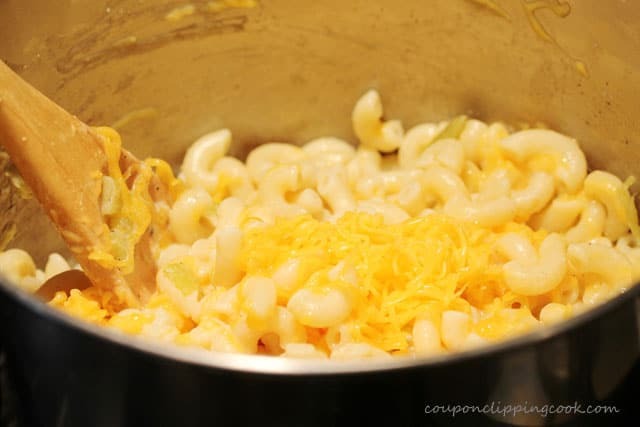 Since I just can’t help myself from adding just a little something to my macaroni and cheese, this version has diced green chiles in it to jazz it up just a bit. 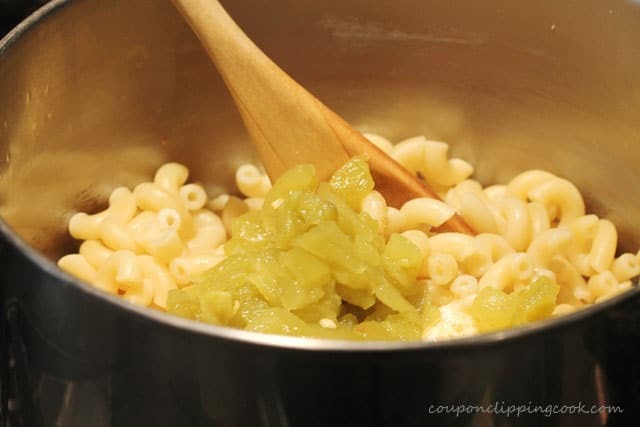 The chiles add a mild green chili flavor that tastes wonderful along with the creamy cheese and pasta mixture. 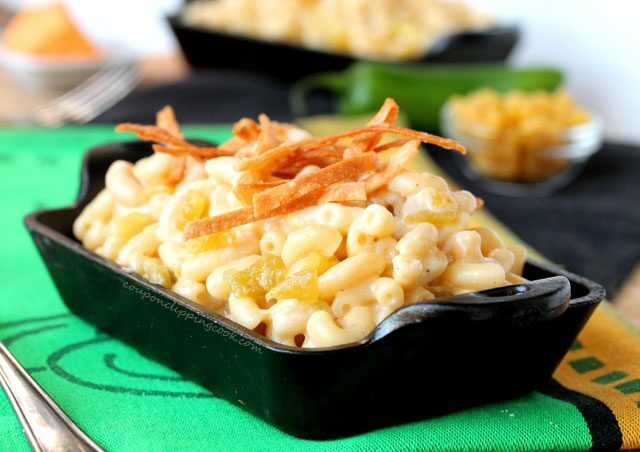 For a crunchy topping, crumbled tortilla or corn chips can be added just before you dig in and it will make your taste buds very happy. The small cans of diced green chiles are a great pantry item to have on hand for all kinds of things like omelets, quesadillas, hamburgers, or nachos. 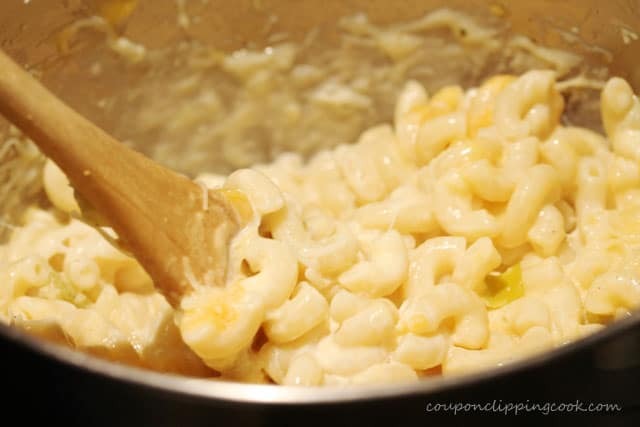 Or even macaroni and cheese for goodness sake. This dish is best when served warm right after making it. And it’s okay for the cook to do taste tests. Lots of them. No wait, it’s a requirement to do lots of taste tests. 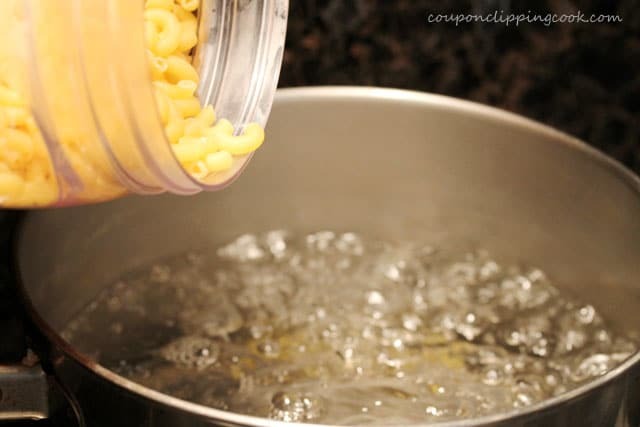 In a medium to large size pot, bring water to a boil and add salt. Add the pasta and stir. Cook the pasta until its al-dente according to package instructions. 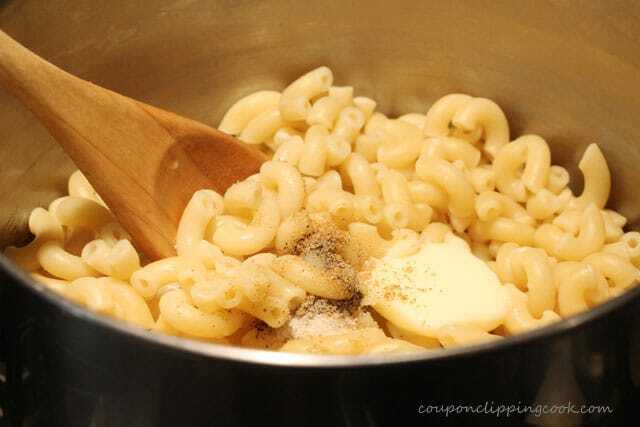 Drain the pasta and set aside (but don’t rinse it or the starch on the pasta will rinse off; the starch helps the cheese sauce stick nicely to the pasta). 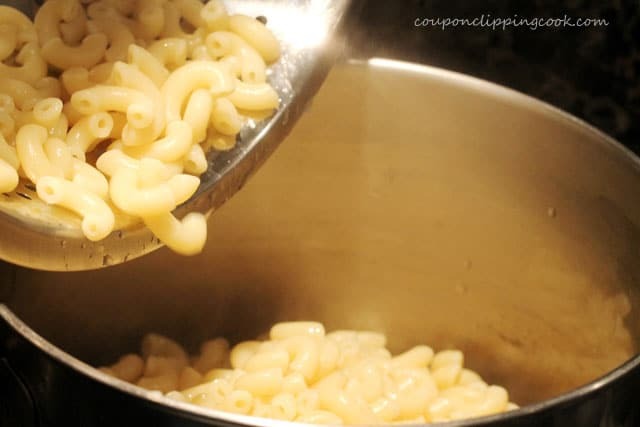 To a medium to large size pot, add the cooked macaroni. 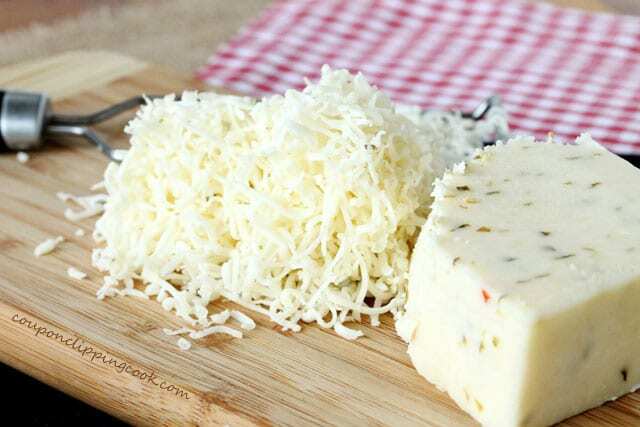 the hot pepper jack cheese. Carefully do a quick taste test and add more salt if needed. Turn the heat up slightly and stir until the desired consistency is reached. 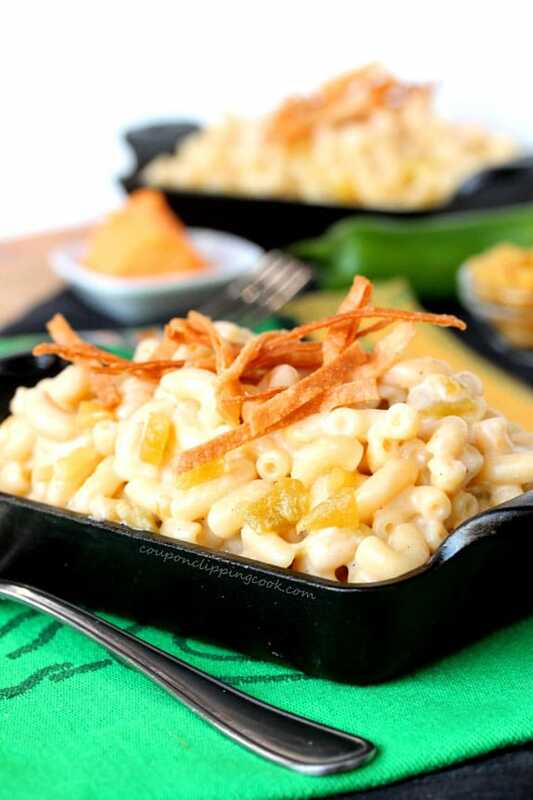 Serve right away while warm and top with crumbled tortilla or corn chips. 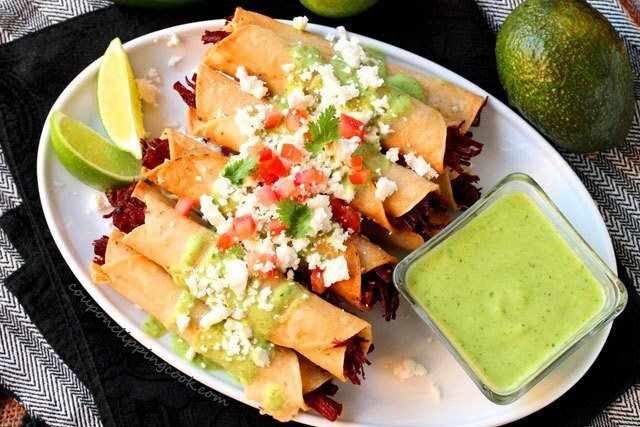 Or top with crispy thin chips made by frying thin slices of corn tortillas in canola oil. Drain the pasta (but don't rinse it or the starch on the pasta will rinse off; the starch helps the cheese sauce stick nicely to the pasta). 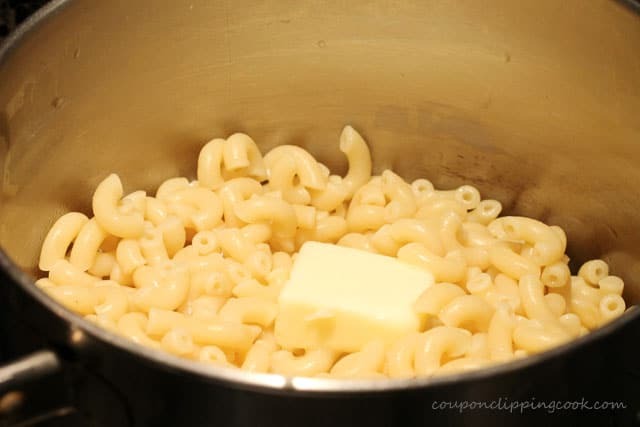 To a medium to large size pot, add the macaroni. Heat pot on low heat and add butter, granulated garlic, salt, pepper, cumin and green chiles (including the juice from the can). Gently stir together. 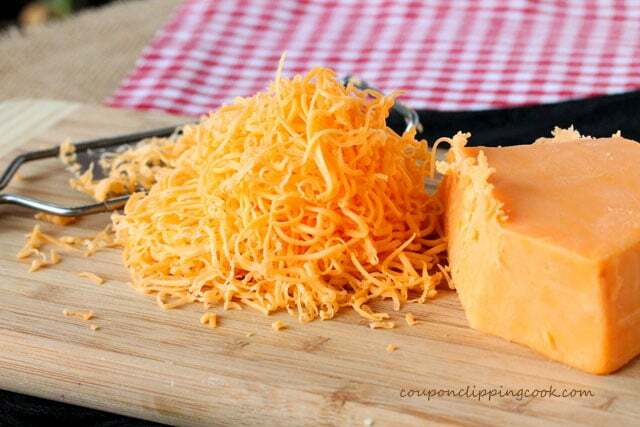 To the pan, add half & half, shredded cheddar cheese, and shredded hot pepper jack cheese. Stir together. 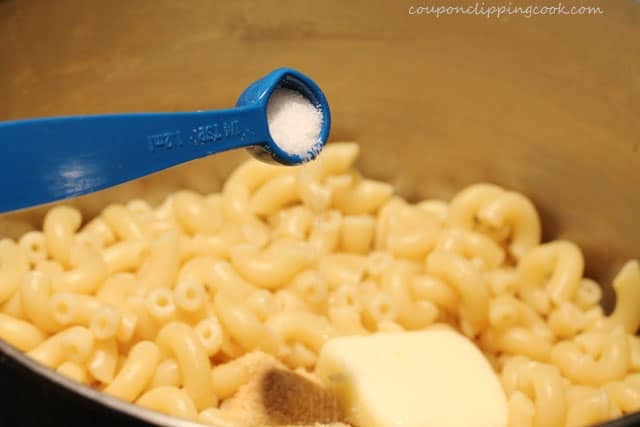 Carefully do a quick taste test and add more salt if needed. Turn the heat up slightly and gently stir until the desired consistency is reached. 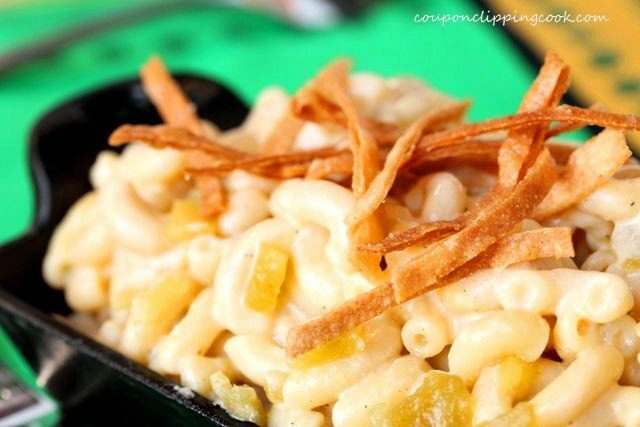 Top with thin tortilla chips, crumbled tortilla chips or corn chips.